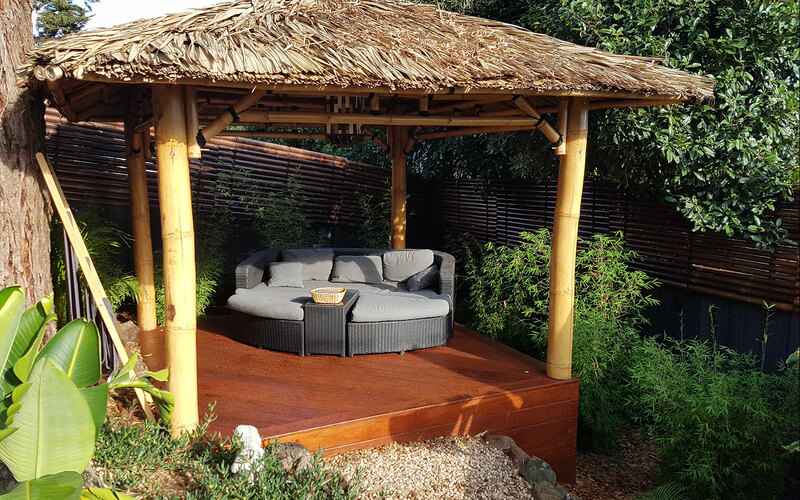 Transform your yard into a tropical oasis with a Bali Hut from JKR. At JKR We supply and install Bali Huts Melbourne wide. All of out huts are manufactured in Bali and have been imported and are waiting to be installed in an amazing back yard. Bali Huts are a cost effective alternative to pergolas that will increase the value of your home and give you a tropical paradise in your own backyard. We offer the original and the best quality Bali Huts in Melbourne. Our Balinese huts are as authentic as they come, being imported from Bali and have complete Bamboo frames, all at no extra cost. Be mindful as some companies only offer pine frames which usually are just a timber frame with a thatch on top. Huts should be designed and made they way the Balinese intended. After all they are the experts! The roof thatching is completely waterproof to protect any furniture underneath. Our roofs will typically have an overhang or eave of 500mm for further rain protection. Why Choose JKR for Bali Huts Melbourne? No matter the installation requirements we can provide any type of footing, mounting, decks and flooring that you might require. Our Huts are the most Authentic in Melbourne. Manufactured in Bali using the best grade of their local materials and imported to Australia. A Bali Hut is a cost effective way to create a tropical feel while adding value to your home. All at less than half the cost of a Pergola or Alfresco. No cheap pine here! 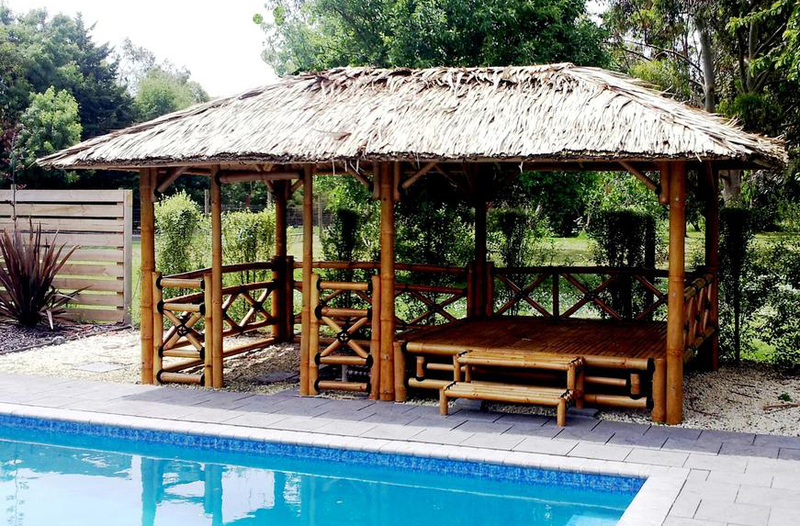 Our Bali Hut frames are made from quality authentic Bali Bamboo and at no extra cost when compared to pine. How Much Will Your Bali Hut Cost? Simply complete our form below and one of our friendly staff will contact you for a price on your new Balinese hut fully installed.